An ancient prophecy. A young woman's destiny. Lorness Carol, coming of age in the kingdom of her warlord father, Lord Rafel, aspires to wield magic. But she's also unknowingly become the obsession of Kragan, an avenging wielder as old as evil itself. He's waited centuries to find and kill the female prophesied as the only human empowered to destroy him. However, dispatching the king's assassin, Blade, to Rafel's Keep, ends in treason. For Blade arrives not with a weapon but rather a warning for the woman he's known and loved since he was a child. With a price on his head, Blade flees - as Carol and her family are urged away on their own desperate route of escape. Now, traversing the lawless western borderlands, Carol struggles to understand the uncanny magic she possesses and must learn to master. Though separated, Carol and Blade are still united - not only by the darkness pursuing them both but by a quest toward destiny, revenge, and the revelations of an ancient prophecy that signal the ultimate war between good and evil. ©2017 Richard Phillips (P)2017 Brilliance Publishing, Inc., all rights reserved. I'm really like fantasy books. This book did not disappoint. I'm really looking forward to the rest of the trilogy. Love the story and characters. I loved this book but am impatient for the next book in the series. Thankfully it is scheduled for release in early January 2018. Caitlin Davies does a marvelous job bringing to life the characters and magic in this new world. Has a solid storyline and good foundation for first book in the series. 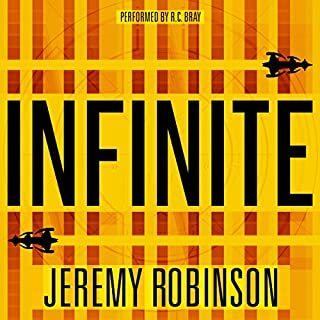 There were moments in the book where I felt it was lacking some depth and needed more realistic character building, but overall an enjoyable read. I look forward to reading the next installment. Hoping the storyline and characters will continue to develop. 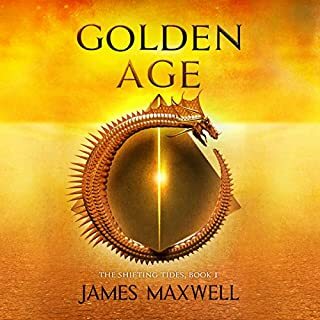 Such a talented author and yet this book treads the same old fantasy ground, which if pulled off with engaging writing and characters that draw you in...would still be okay. Unfortunately this doesn’t happen...I gave up after 4-5 hours.....simply boring. Richard, you can do so much better...your prior books told such fascinating stories with interesting characters and plots that drew me in...not this time. 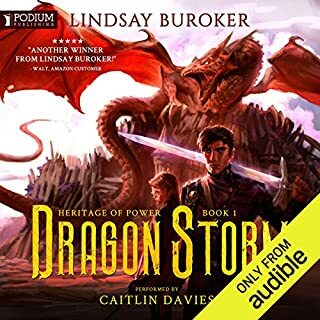 I listened to Mark of Fire in audio after getting it as a Kindle First, and then I read the second entry in the trilogy, Prohpecy's Daughter, in print after getting an ARC from NetGalley. This after listening to Richard Phillips's entire Rho trilogy of trilogies over the past few years, which by definition indicates that I really liked them. His current Endarian Prophecy fantasy series, however, has misfired, landing far off the mark Phillips set in Rho. 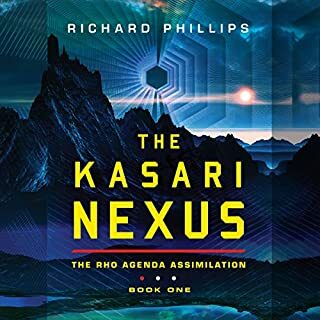 Everything that appealed to me about Rho centers on Phillips, a former physicist, basing his science fiction firmly within the world of science fact. Even the supernatural elements of Rho end up (quite satisfyingly) rooted in science (speculative though it might be). 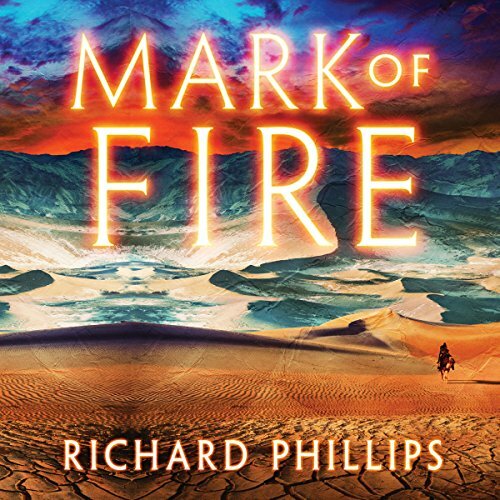 Although one should not expect an epic fantasy to be based on science fact, I was nevertheless hoping -- expecting even -- that to be Phillips's way of setting his fantasy world apart from others. No such luck. Indeed, this world doesn't seem to be based on any sort of logic, not even its own internal logic, never mind the science of our world. Indeed, after two of three volumes (the finale due next month), I remain seriously confused as to a) what this story is about, beyond a generic good vs. evil sword and sorcery showdown, b) what kind of world it is set in, beyond a generic medieval European fantasy setting, and c) what ultimate reveal can pull it all together, beyond a generic Planet of the Apes, multiverse, or time twist that would all be serious letdowns. There is so much about these two books that just rubs me the wrong way, even beyond the fact that there are no interim climaxes or conclusions to set each volume apart, as there were in Rho. Some characters have made-up fantasy names, like Gaar, Blalock, Coldain, Kragan, etc., while others are named Carol, Alan, Derek, John, etc. Seriously, a non-Earth fantasy world with people named Carol, Alan, Derek, and John, etc. There is even a character with the last name Scot, in a world where Scotland never existed. Similarly, Phillips misfires in trying to convey a sense through word choice that we are in a different world, a medieval world. For example, far-glass, a made up word, despite the fact that in the real world, the word telescope was coined as far back as 1610. But when it comes to value, one character mentions pieces of eight, coins first minted in 1598 in Spain, a country that doesn't exist in this fantasy world (never mind that there is no evidence of any type of monetary system in this world). And here, people domesticate guinea fowl, even though Guinea does not exist, nor would any sane farmer choose to raise ornery guinea fowl instead of docile chickens. I could go on at even greater length. This may sound picky, but it indicates that no research was done to validate the use of these words, clearly chosen solely to make this world sound medieval, as if that quality alone defines a fantasy setting. The entirety of the plotting and world building, going back to the naming and the lack of logic (especially in the use of magic) -- and I haven't even mentioned how people enter the story and then disappear (there are hardly any Endarians in the second book of the Endarian trilogy, for example) -- all indicate that this work was rushed (the release schedule certainly validates that). One saving grace are the set pieces, the action sequences. There are several in Mark of Fire, only two or three shorter scenes in Propechy's Daughter, that are quite imaginative -- and these have the virtue of being realistic and internally consistent. I also like that one of the major qualities of the male hero, Arn, is his immunity to magic, a nice twist (although I'm confused by the need for magic in the story if it can simply be foiled by declaring a character immune to it, and why he is immune to one kind of magic but not another). As a fan of Rho, I'm going to give Phillips the benefit of the doubt and complete this series, hoping against hope for a finale that makes it all make sense. It will at least be a fast read/listen, as were the first two volumes. But then I hope he returns to his forte -- credible present-day real-world fact-based science fiction -- when he takes up his next project. I read this book a while back and recently decided to continue the series. I remember the story being good but this narration does not enhance it in any way. 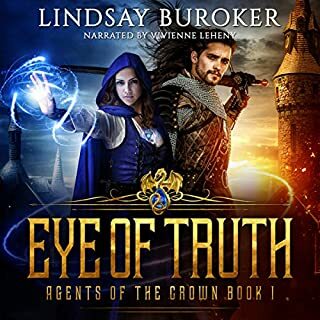 I got the Kindle version as a freebie under Prime and then added the audio for a few books. Fine to kill time on my daily commute but not an exemplar of the genre. Interesting story and character development over course of the book. I was convinced that some of the narration was ‘siri - like’ and artificially generated - pace, inflection, cadence etc unnaturally consistent to my untrained ear. 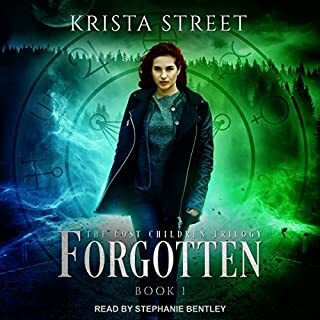 I’ll probably reach for the Kindle rather than audible book for the second in the series.